The Black Cat Bass Octave Fuzz is a modern recreation of the rare and valuable Maestro Bass Brassmaster, which was used in the seventies by bass players such as John Entwistle (The Who), Chris Squire (Yes), and Kyle Brock (Eric Johnson/Electromagnets), among others. One of the problems bass players have always faced when using a fuzz pedal is the loss of low-end. 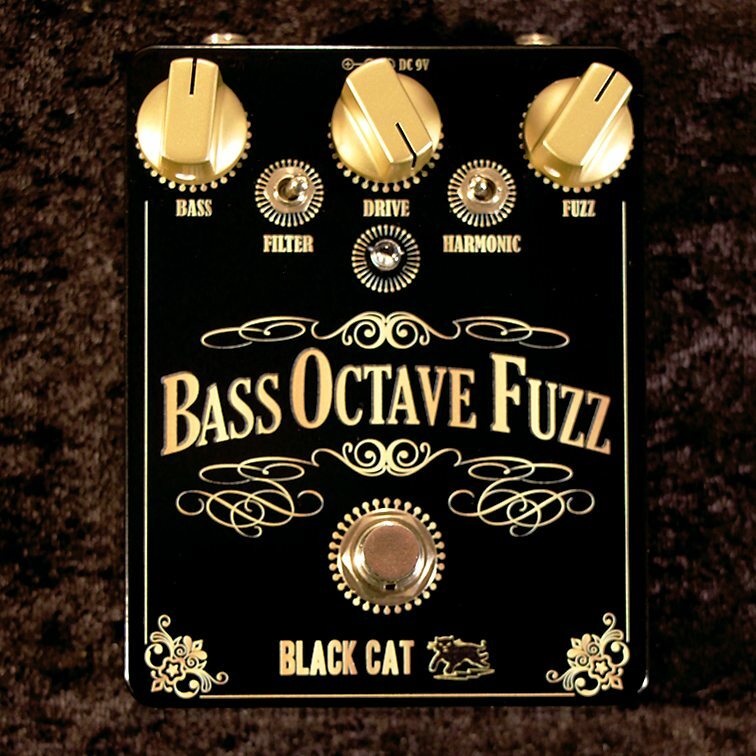 The Bass Octave Fuzz allows the player to blend the clean signal into the mix along with the fuzz. The result is a monstrous roar of fuzz with a thunderous low-end rumble. Not for the faint of heart!